Although wheeled robots would be better for beginners I wanted to build a legged robot. 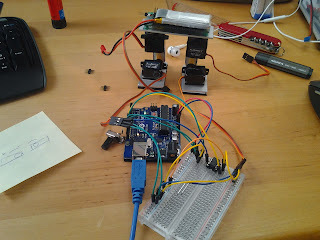 Mostly because there were no continuous motors in reach and my attempt to modify a servo failed miserably. One of the simplest solutions is a biped robot that moves as it shifts its weight. 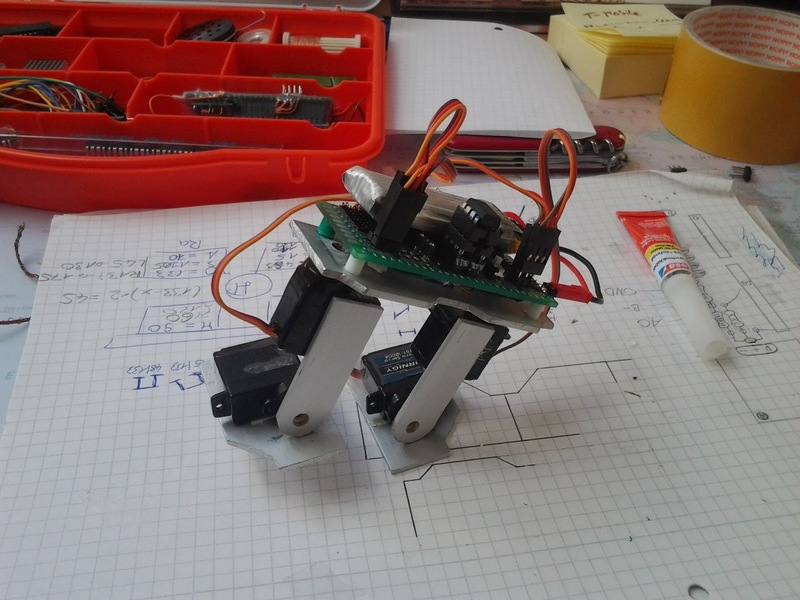 Two servos are needed for the feet and another two to move the legs to go forward or backwards. 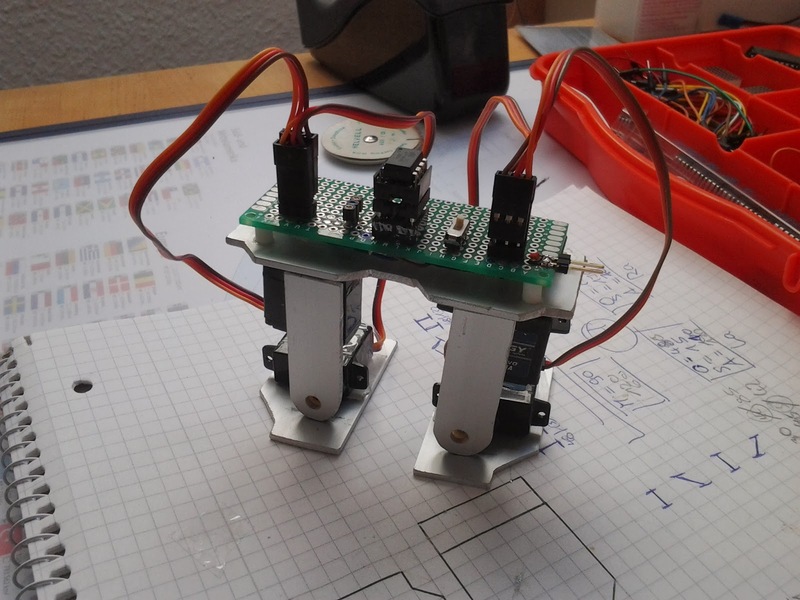 It is boring to just make the robot walk until the batteries are dead. 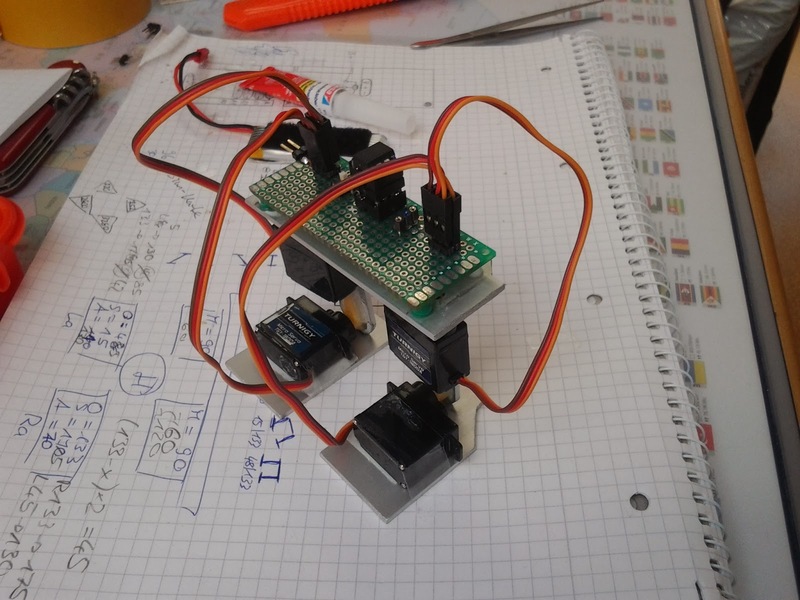 So I decided to use infrared to receive commands. The infrared sketch works fine with my TV remote so I only had to change the codes. On the hardware side I used aluminum and a lot of glue. 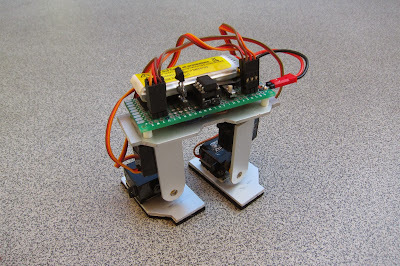 The feet have rubber soles to prevent the robot from ruining the furniture. A prototyping PCB was cut in half to connect the few components. Four turnigy 1800A servos are running well with the 3.7V battery, there are no clocks or voltage regulators. 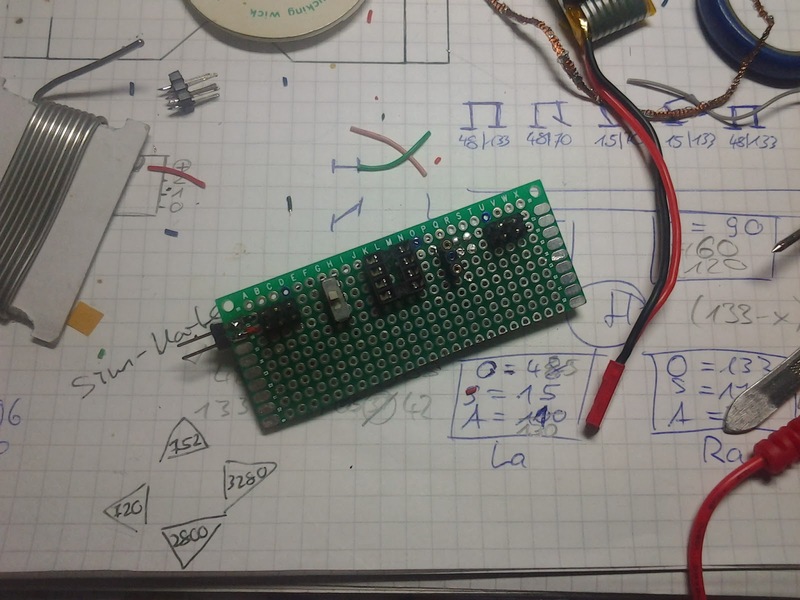 The Attiny itself is not soldered in, it can be taken away easily for programming. 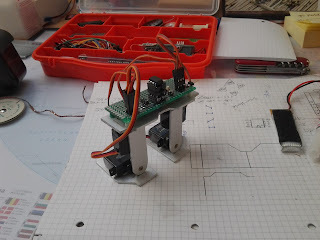 I would say the project was successful although I did not have the time to program it well (making turns is still difficult). The solution is also very cheap because of the small microcontroller. The only relatively expensive thing is an Arduino for programming. What Victorinox do you use? Very nice project!!! I am going to try this design over the summer. I can't wait! There is no real schematic to this. 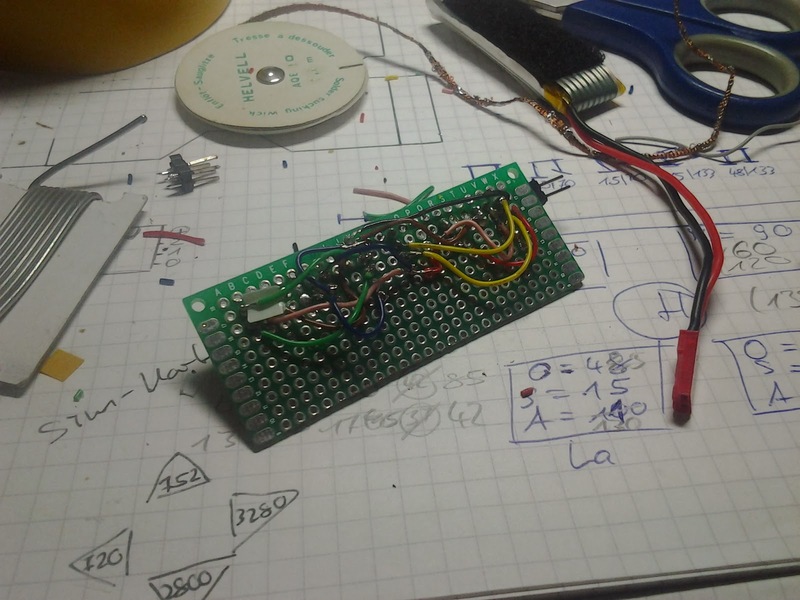 You will have to look into the code to find out how the pins are wired.